OK... so, I am back after celebrating my nephew's b'day. It was good fun, indeed. I am not sure what the one-year-old thought about us but we sang 'Happy Birthday' to him a zillion times and he just stared at us :D Also, we bid good-bye to Irene from a safe distance. 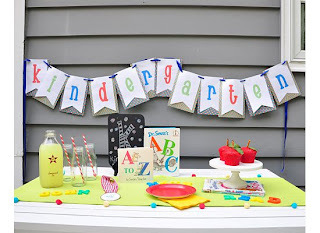 Now, as promised, I'll quickly move ahead and share the featured posts from last weeks party. I am already late by a few days! Go over to Ivy and Elephants and check out their Balancing Acts. Patty and Paula have very beautifully used the scales for decoration as well as to hold their jewelry, fruits and other items. Laces, jewels, vintage frames together with the scales look classy and chic. This Rustic Key Holder on Thrifty Decorating caught my attention at the very first sight. A complete tutorial for this $3.00 project is shared here. Read a wonderful post written by a mother about her feelings as she sees her son leave for school, here. Designed by Chance shares her husband's craft on her blog. Her husband made a sliding shelf for under the sink garbage. Isn't it great if you can do such things at home? 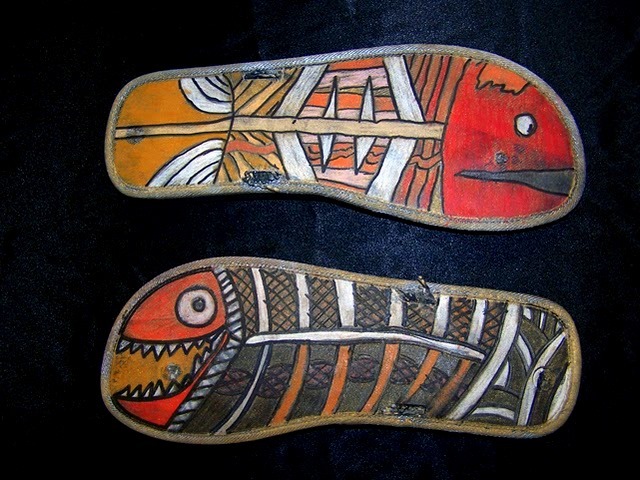 Check out these beautiful fishes make on shoe sole shared by Uber Savvy, here. If you have been featured here, grab the 'Featured' button from the side bar and feel free to use it on your blog. The party for this week is about to end in a few hours. Link up here, if you haven't already. Thanks so-o-o much for featuring our scales on your lovely blog. It is such an honor. We are wearing our button proudly! Practically Free Birthday Card Box!